Ramphal Chowk is the most crowded market spot in Dwarka, owing to the conglomeration of various kinds of business establishments ranging from retail stores, ration and departmental stores, mini shopping malls, brand outlets, and what not. It’s almost never bereft of people. People dread bringing their vehicles to Ramphal Chowk because of the unavailability of parking spaces in this chaotic scene. Almost always teeming with an array of cars, bikes, and rickshaws; stuck in the usual jams and people wending their ways around and between these vehicles. Besides the crazy milieu, the Chowk has been known for its variety of small street food vendors that have always been scattered around the market place. 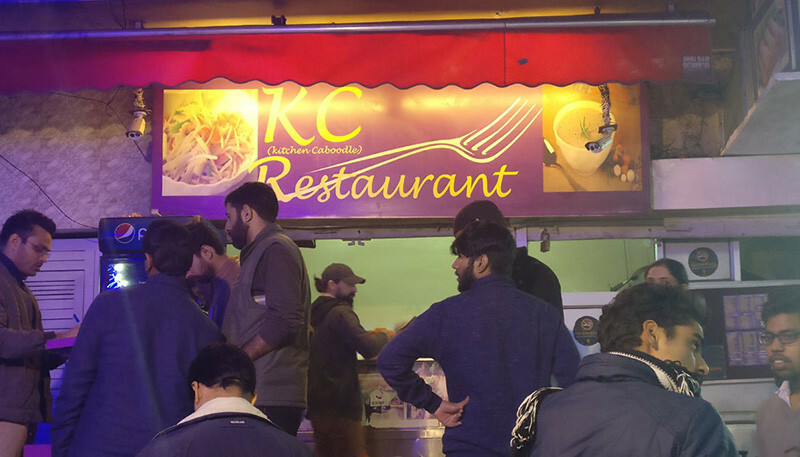 From chaat and chinese, to North Indian street food, people never run out of options because of the varied nature of these vendors and their stalls. Out of these, there’s one place that’s the star of the area. Everyone knows about it there and every other restaurant owner envies at how much crowd this one place gathers, every single day. That obviously includes weekdays as well. Well, that’s KC’s Restaurant for you! 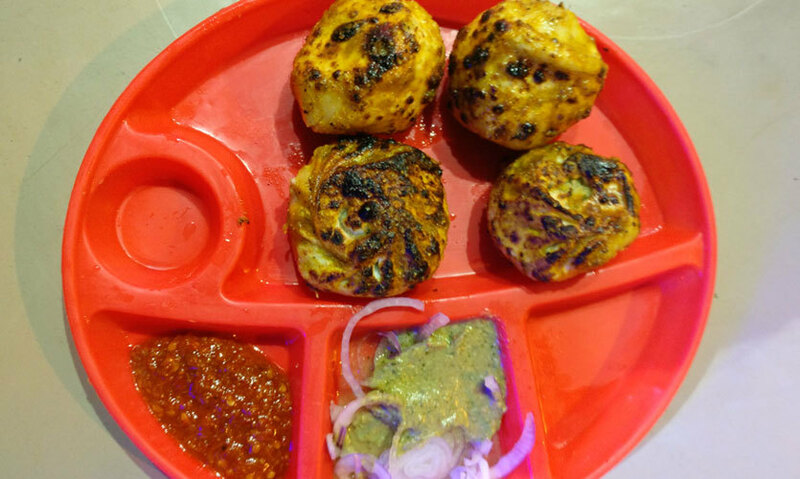 KC is known for its appetizing choices of Tandoori Momos to choose from, with styles ranging from Classic Steamed Momos to Aachari, Afghani, Malai and even KC Special Crunchy Momos and that too at rates that certainly won’t burn a hole in your pocket! Usually a takeaway place, the ambience of the place is well - chaotic! Everyone’s here to satisfy their eager momo cravings and although some of them choose takeaways, most of them like to savour their dumplings right then and there. They don’t have an elaborate seating area, just a bunch of tall tables for customers to eat on while standing. Which is fine, as their service is super quick; you order and in five to ten minutes they’re done with your order. Talking about ordering, we were utterly confused as to what to order after going through the variety of options in both vegetarian and non-vegetarian options, but then decided to order one from each kind; steamed, three types of Tandoori Momos and KC Special Crunchy ones. 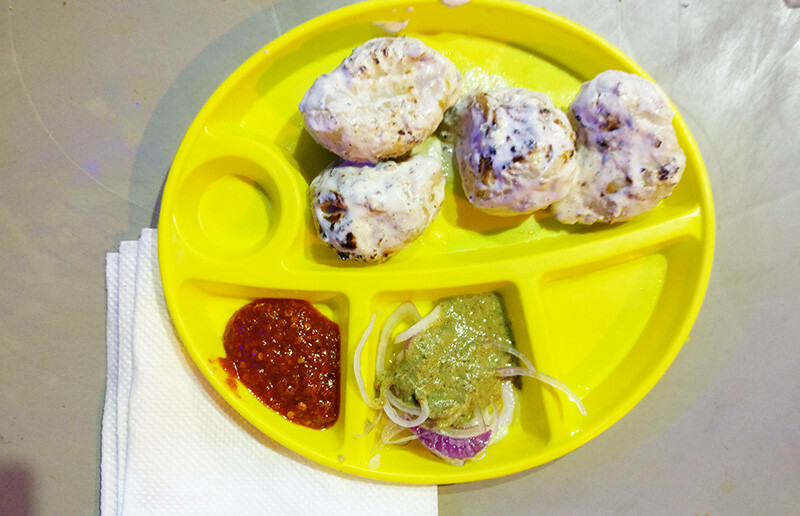 Here’s what we dug our momo-craving teeth into here! 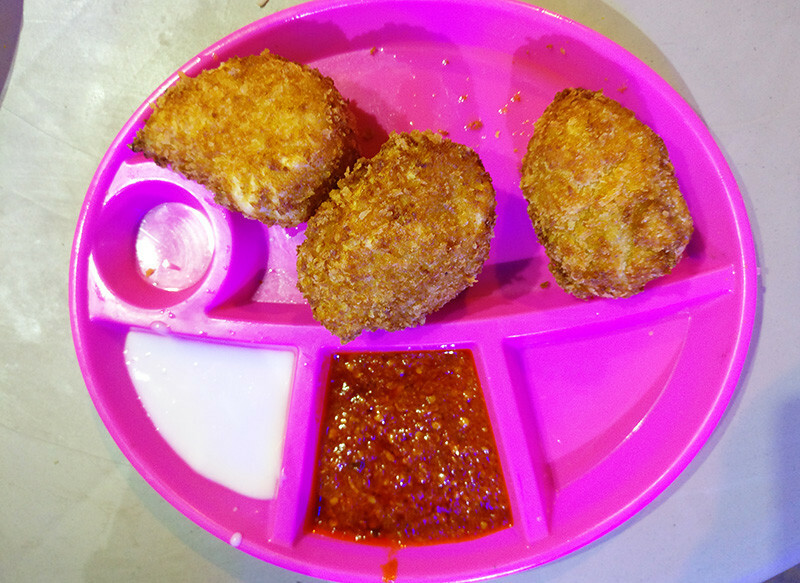 We then landed onto these - fat pockets of cottage cheese stuffed with delectable spices, coated with savoury Afghani flavour, served with onion rings in green chutney along with red chilli chutney. One bite, and your mouth is confused if it’s really paneer you’re tasting, ‘cause it’s different and certainly flavourful, with the right amount of spiciness! Paneer Afghani costed us 70 bucks, which we thought was a bit too much for cottage cheese dumplings. So even if you’re a vegetarian, you’ll not be missing any of the savoury goodness at KC’s! We finally got down to feasting onto something non-veg and got our hearts melting with the Chicken Malai Momos, coated with a delectable topping of creamy goodness. This also came with the standard green chutney and the red chilli one. The chicken was spicy but the creaminess balanced it out and made us forget the world for a while. This costed us Rs 70. The fact that they charge equal prices for cottage cheese and chicken momos was a little surprising. Next, we chose to order something classic and basic. Their Chicken Steamed Momos were good, but could’ve been better. They were served with spicy red chilli chutney, an interesting mango chutney and mayo. They did taste good and savoury with these, but without the chutneys and mayo, they were just too basic. Or maybe we were too hungover on Tandoori Momos - you can just visit and find out on your own! 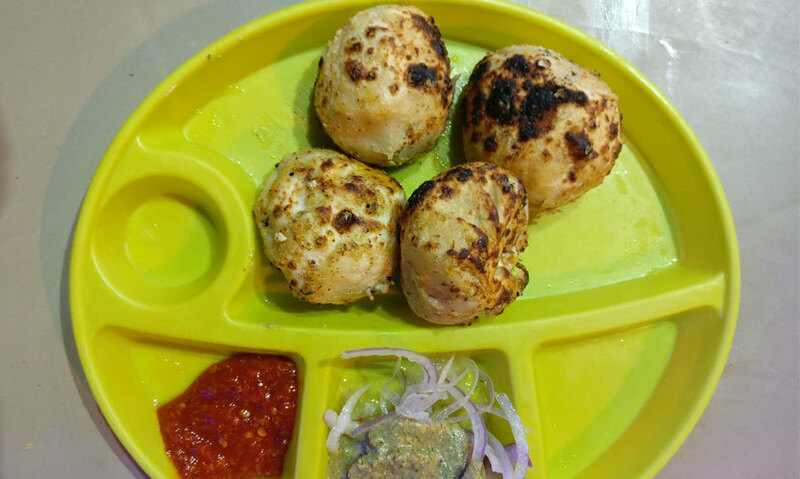 You can even try their fried steamed momos should you choose to savour momos other than their Tandoori ones. A full plate of these costed us 60 bucks. We began our journey with these stuffed, tandoori pockets of veggie goodness, generously glazed with piquant achari flavour, which by the way, was nothing like we’ve ever tasted before! Spicy, sour, and sweet all at once, this surely tickled all our taste buds. These were served with onion rings dipped in green coriander chutney and red chilli chutney. We ordered half a plate of these, which cost us 60 bucks. Whoever thinks they can’t find variety in veg momos, will certainly get their answer after they’ve come to KC’s. When we laid eyes on these on the menu, we were like, “What even is this?”! We were curious, so we gave them a go. And boy, were we glad we did! These were the stars of our momo-tasting journey. Imagine, steamed dumplings of nicely seasoned chicken, wrapped around with breadcrumbs and deep fried. Deep fried may not always be good for those glutes, but we all know deep fried things are always delish! These were super crunchy as promised, with flavourful chicken inside. They tasted even better with the red chilli chutney and mayonnaise. Surely a must try, they costed us Rs 110. They also serve this style with vegetable and paneer momos. Feeling those sudden, random momo cravings right about now? If you’re in Dwarka, KC’s is the place to be! 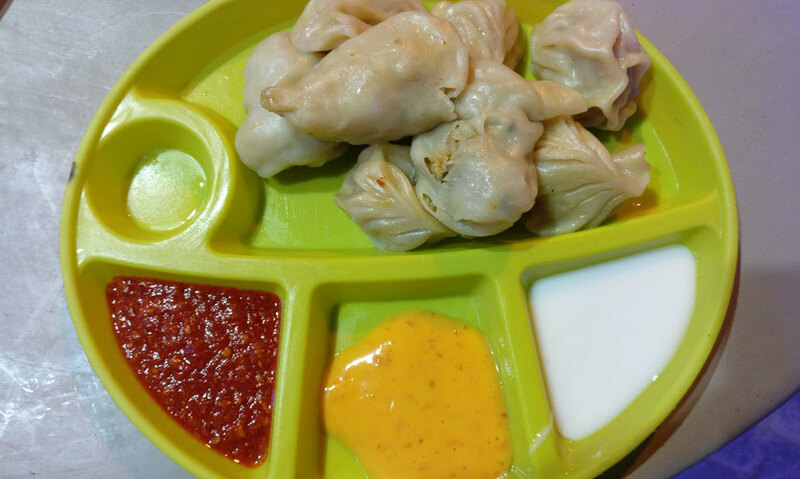 Whether you’re a vegetarian or non-vegetarian, KC’s an impressive place to satiate those sudden hunger pangs and cravings for momos and has an elaborate menu for other food options under Chinese cuisine. The only drawback is the chaotic location and the lack of proper seating. They take payments in cash and now even have Paytm, which surely helps during these cashless times. Overall, this place is a must visit if you’re living in Dwarka, or even just visiting. As for us, we’ll keep visiting for sure!